The only thing not in the wrapper anymore is the ac cord which you can see in the photos. 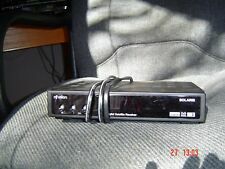 Nfusion HD Remote (#1,2,3 buttons are sticking probably from lack of use). This is a great deal. 1 Tuners & Blind Scan Supported. Bckground Graphic Display For Radio Program Channels. Useful Rcu Key-Functions For Channel Find, Edit And Signal Strength Display. Pig(Picture-In-Graphic) Available. Parental Lock Function Using Master Pin Code. 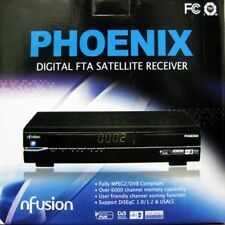 Nfusion Digital Satellite Reciever RS-232C. Condition is Used. Shipped with USPS Priority Mail.